Perry Darrel Phelps of Greensboro, Georgia died on Tuesday, August 21, 2018 at Legacy Health & Rehabilitation in Greensboro following a recent illness but he had been in declining health since suffering a stroke in 2011. Darrel was born on August 18, 1934, son of the late Winthrop and Lucile Smith Phelps. He was a native of Greene County, member of First Baptist Church of Greensboro, and served his country in the United States Army Reserves. He married the former Bobbie Lee Allen on June 14, 1958 at First Baptist Church of Greensboro. Darrel was a 1952 graduate of Greensboro High School, where he was a member of the varsity track team. 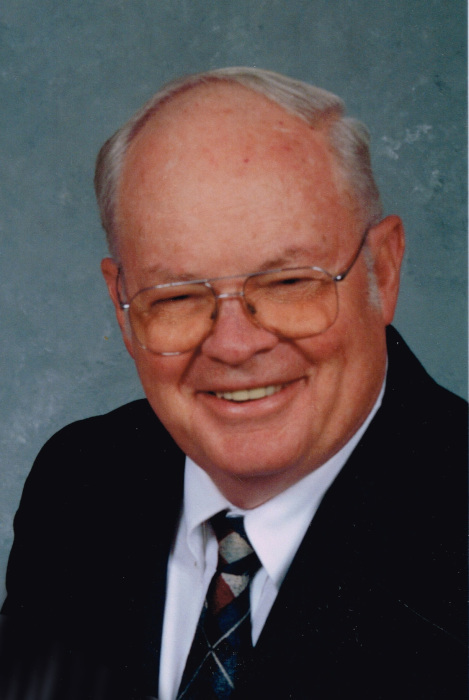 He was also a 1958 graduate of The Georgia Institute of Technology, where he received a Bachelor of Civil Engineering and was a member of Lambda Chi Alpha Fraternity. During the summer after high school, Darrel was seriously injured when the horse he was riding alongside Highway 15 spooked and threw him into the path of an oncoming vehicle. As a result, Darrel had to postpone his plans to attend Georgia Tech that fall. After months of recovery, he attended Georgia Military Academy for a semester then transferred to Georgia Tech. Upon graduation, Darrel began his 32-year career with the Georgia Department of Transportation in the Athens office, working on what is now known as the Athens Bypass. He was then transferred to Atlanta and remained there until the big push to complete I-20. During that time, he worked out of the Madison and Greensboro offices and supervised all phases of construction of I-20 from Dekalb County to the South Carolina line. Whenever his young grandchildren were on their way to visit, as soon as their vehicle was on the ramp to I-20 eastbound, they would begin to exclaim “Are we on Papa’s road yet? !” Darrel spent the bulk of his career working out of the District 2 headquarters office in Tennille. District 2 encompassed 28 counties at the time, including Greene. Over his career, Darrel held various positions, including District Construction Engineer, District Maintenance Engineer, and at the time of his retirement in 1990, District Pre-Construction Engineer. For many years, Darrel also owned and operated an engineering and surveying business. In this capacity, he was very involved in the development of Reynolds and other Lake Oconee resort communities. One could easily say there was virtually no tract of land in Greene and surrounding counties that he had not personally walked and his firsthand knowledge of the area was legendary. Darrel and Bobble Lee were unable to take a honeymoon in 1958, so he loved to tell people they took a 20-year honeymoon after he retired. They traveled extensively, including all 50 states, Canada (all provinces), Mexico, Europe, Central and South America, Australia, and Africa. The vast majority of their travel in North America was in their RV, including two trips to Alaska. Darrel was an avid hunter, fisherman and general outdoorsman. For many years, he and friends enjoyed annual dove hunting trips to Mexico, Columbia or Argentina, his favorite of the three. He loved classic American sports cars, especially his blue and white 1959 Corvette convertible. Back in the day, Darrel and Bobbie Lee helped his father run a drag strip near Greensboro on Saturday nights. It was not unusual for them to enter the Corvette or their Chevy Nomad station wagon in a race! Darrel spent countless hours serving his community. Partial list of his volunteer activities: Greene County Commissioner, member of the Greene County Development Authority, member of the Greene County Chamber of Commerce, Director of the Bank of Greensboro, member of the Board of Trustees of Nathanael Greene Academy, charter member of the Greene County Rotary Club, past president of the Greene County Jaycees, member of the Lions Club, Scoutmaster for The Boy Scouts of America and volunteer with Meals on Wheels. He will be remembered for his intelligence, integrity, determination, selfless dedication to his family, friends, and community and for his deep and abiding love for Georgia Tech. In addition to his parents, Darrel was preceded in death by his wife, Bobbie Lee Allen Phelps, in December of 2010 and a son, Scott Darrin Phelps, in September of 1970. Darrel is survived by his daughter Rebecca (Becky) Lee Phelps Long, her husband William (Bill) Franklin Long III and their children, Samantha Claire Long and William Darrel Long of Atlanta, Georgia; sister, Geraldine Phelps Youngblood of Macon, Georgia and her daughters Cindy Aultman Lunsford of Savannah, Georgia and Rhonda Aultman Watwood of Macon, Georgia. Darrel also leaves behind other family and many friends. The family wishes to express their heartfelt gratitude to Virginia McCluskey for taking excellent care of Darrel at his home during his final two years. Funeral services will be held on Saturday, August 25, 2018 at 11:00 AM at First Baptist Church, 203 South Main Street, Greensboro, Georgia 30642 with Rev. Mark Jones and Bob Beeland officiating. Interment will follow in Greenview Cemetery, Memorial Drive, Greensboro, Georgia 30642. Serving as pallbearers are Scott Baynes, Jay Beeland, Chuck Finch, David Torbert, Gerald Torbert, and Rick Ward. The family will receive friends at the church from 10:00 AM until time for the service. The family requests that any memorials be made to First Baptist Church, 203 South Main Street, Greensboro, Georgia 30642. McCommons Funeral Home, 109 West Broad Street, Greensboro, Georgia 30642 706-453-2626 is in charge of arrangements. Please visit www.mccommonsfuneralhome.com to sign the online guest register.